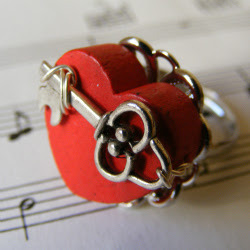 Every year, the collection of Valentine's Day jewelry tutorials grows! So here is this year's HUGE crop of lovely designs to inspire. Different techniques are featured so you can pick your favorite one. Be sure to check the past posts linked below for more ideas. Shown above is the lovely Forever Love jewelry tutorial by Linda Jones of Make Jewellery Magazine. Alas, the steps are not illustrated but I just had to include it here because it is such a pretty design. These sweet Love Letter and Heart earrings tutorial from Create Your Style with Swarovski Elements do send messages of love! The sideways suspension of hearts is also evident in Ornamentea's Happy Heart Charm pendant tutorial. it is decorated with kimono cord. Try using a bail forming pliers or something cylindrical to form the curves of the heart. Please check my tutorial post below on how to form wire hearts. 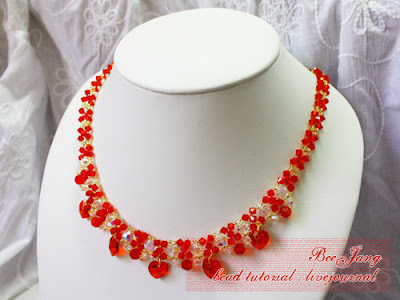 Plenty of bling for Swarovski crystal lovers with Bee Jang's beadwoven necklace tutorial featuring heart beads. 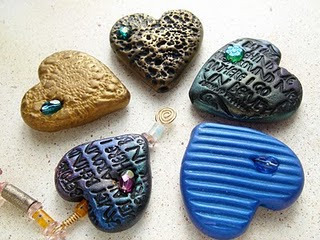 Make your own heart beads using Marie Segal's easy textured polymer clay heart tutorial. These will make great pendants or if scaled smaller, earrings. 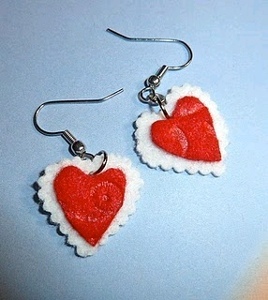 What could be more heartfelt than real felt heart earrings? This tutorial is by Crystal Harris. 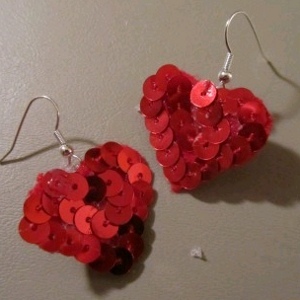 If you're into sequins then check out the sequin heart earrings tutorial by Karisa Tell. 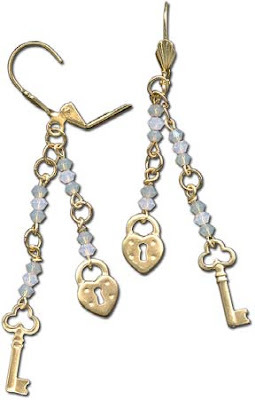 Josie Arndt's heart lock and key earrings are refreshing different with the use of the appropriate charms. Mindie over at Bacon Time with the Hungry Hungry Hypo also uses a key charm wired to a wooden heart bead for her Valentine Ring tutorial. She glued the bead to the ring blank but if it is a filigree one, the wiring can surely be extended to it. 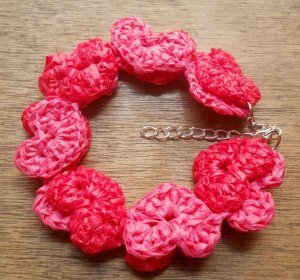 Crochet enthusiasts will love this pretty Heart on the Sleeve bracelet tutorial by Moira Durano-Abesmo. It's an eco one because plarn (yarn made from plastic bags) is used. Sherri Haab's heart floating transparency resin video tutorial shows how she embeds a transparency with a pattern on it and a paper heart for this cool design. The transparency she uses are those for laser printers (not ink jets). Beautiful designs, thanks for sharing. These are some really cute designs. I think the top one with the wire is my favor, but they are all very pretty. Thank you for sharing. There are lots of cute idea! !